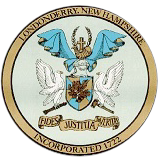 Government meetings of the Londonderry Town Council, Planning Board, Zoning Board of Adjustment and Budget Committee are cablecast live on GOV-22 on their respective meeting dates. All meeting agenda items are subject to last minute changes. The public is encouraged to attend meetings in the Moose Hill Council Chambers at the Londonderry Town Hall - 268 B Mammoth Road. Schedules change often with the most recent meetings scheduled first. All meetings are archived on our Live Streams link under Video On Demand. DVDs of meetings can also be checked out at the Londonderry Leach Library. 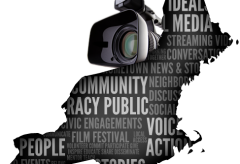 We will have several videos appearing here covering different points of community and historical interest. Below is the first we produced covering the Town Pound. Many of you have seen the structure but may not have had the time to stop and read the landmark sign.